Dear Applicants, MP Vyapam has now released Group 2 Notification for filling up 249 Various Vacancies. All the applicants who are waiting for MP Vyapam Recruitment 2017 – 18 Notification, this is great job opportunity for them. You can fill online form form MPPEB Group 2 Recruitment from here till the last date 28.12.2017. For more information related to MP Vyapam Vacancies check the below article. Madhya Pradesh Professional Education Board is inviting online form for filling up Group 2 Vacancies. Online submission of application form for MP Vyapam Group 2 Vacancies has been started from 14.12.2017. All the job seeker who are searching Jobs in MP State, they can fill form for MPPEB vacancies form here. More information about Eligibility, Pay Scale & selection Criteria For MP Vyapam Group 2 Vacancies is mention below. What is the Important Dates For Applying MP Vyapam Group 2 Online form ? How I Check Exam Fees, Pay Scale & Selection Criteria For MPPEB Group 2 Recruitment 2017 ? How To Apply Online Form For MP Vyapam Recruitment 2017 – 18 For Group 2 Jobs ? What is the Eligibility Criteria Required For MP Vyapam Recruitment 2017 – MPPEB ASI LDC & Subedar Steno Bharti ? How I Fill Online form for MP Vyapam Recruitment 2017 – MPPEB Sub Engineer Jobs ? Who can apply For MP Vyapam Recruitment 2017 & What is Eligibility Criteria For MPPEB Forest Guard Vacancy ? What is Selection Criteria & Exam Scheme For MP Vyapam Forest guard Recruitment 2017 ? Applicants who are searching Eligibility Criteria For MPPEB Vacancies can check all details from here. In the below section all details about Education & Age Criteria in the below section. For more information you can check from notification. Candidates must have done 10th/10+2/ Graduation/ Post Graduation degree from any recognized University. You can check post wise qualification for MPPEB Group 2 Vacancies from official notification. Age of the candidates for MP Vyapam Recruitment 2017 – 18 should be 18 years & upper age must be 40 years as on 01.01.2018. Relaxation in age for MP Vyapam Group 2 Vacancies is applicable only for reserved category candidates as per department rules & regulation. Unreserved Category candidates needs to pay Rs. 500/- as application fee for MPPEB Vacancies. Other appliers of SC/ST/OBC category must paid Rs. 250/- for applying online form for MP Vyapam Recruitment 2017. Fees must be deposited through online mode only. For Post Code 01, 03 , 04 to 06 : Rs. 5,200/- to 20,200/- with grade pay Rs. 2,400/-. For Post Code 03 : Rs. 9,300/- to 34,800/- with grade pay Rs. 3,600/-. Candidates will selected for Vyapam सहायक गुणवत्ता निरीक्षक Vacancies on the basis of Written Examination & personal Interview. 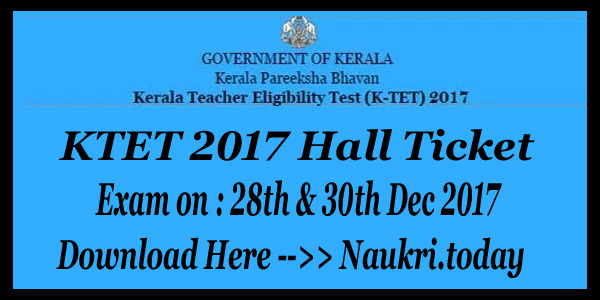 Final merit list will prepare on the basis of marks obtain in examination. To get more details about MP Vyapam jobs Selection criteria read the advertisement. Eligible & Interested candidates for MP Vyapam Vacancies can fill online form here till the last date 28.12.2017. Here, we are providing step by step process of applying online form for MPPEB Group 2 Recruitment 2017. First read all steps & follow while applying Group2 Online form. First of all candidates log on to the official website www.vyapam.nic.in. Now click on MP Vyapam Group 2 Vacancies Notification link. Now deposit application fess & click on submit button. Conclusion : – MP Vyapam Recruitment 2017 – 18 for 249 Group 2 Vacancies. candidates can fill online form for MP Vyapam Vacancies on or before the last date 28.12.2017. To get more information read the above article properly. Madhya Pradesh Professional Examination Board (MPPEB) has released MP Vyapam Recruitment Notification 2017 of 508 ASI (Clerk) & Subedar (Stenographer) Vacancy. Applicants who are looking for MP Vyapam Vacancy 2017 can fill online application form for 508 Vacancies. Online registration for MPPEB ASI Bharti has been started from 01.09.2017. You can apply online form for Vyapam LDC Recruitment on or before the last dated 15.09.2017. Madhya Pradesh Professional Examination Board which is also known as MP Vyapam, is inviting online form for filling up Assistant Sub Inspector (Clerk) & Subedar (Stenographer) vacancy. This is an good news for those who are looking for Govt jobs in Madhya Pradesh. Candidate who have passed intermediate from a recognized board and having one year diploma of Computer course are eligible for MP Vyapam Vacancy. Eligible Candidate can submit their online application for MP Vyapam ASI LDC Recruitment on or before the last date. For more information regarding Educational Qualification, Age limit, Application fee, selection fee etc. you can check advertisement notification & also read from below section. ASI (Clerk) : Applicants must have passed Intermediate (12th) Exam with one year Diploma in Computer Application/ IT from any any recognized Institute of University. Candidates must passed CPCT examination for applying online form for MP Vyapam ASI Recruitment 2017. Subedar (Stenographer) : Candidate should have pass Intermediate Examination from a recognized Board with one year Diploma in Computer Application/IT and Stenography test passed from a recognized Institute. For Subedar (Stenographer) Post : Rs. 9300/- to 34800/- + GP of Rs. 3,600/- will paid for MP Vyapam Subedar Vacancy 2017. General Candidate : Rs. 500/- as application fee is required to p[ay by this category for MP Vyapam LDC ASI Recruitment 2017. 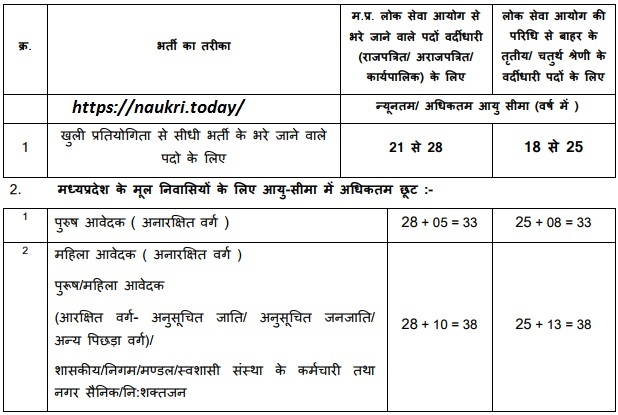 SC/ST & OBC (MP State) : This category candidates must paid Rs. 250/- for applying online form. Selection of the qualified candidates for MP Vyapam Subedar Recruitment 2017 will based on Written Examination & Personal Interview. More information about Selection criteria for MP Vyapam ASI LDC Recruitment you can check from official Notification. First of all, those candidates who are interested in MP Vyapam Vacancy should check all the details carefully & read the notification for Educational Qualification, Age Limitation etc. If you are satisfied with the required eligibility then fill the online application form MP Vyapam Jobs 2017. Now log on to Official Website. Then click on Notification of “MP Vyapam ASI Subedar Recruitment 2017”. Fill the form carefully with exact details. Now upload scanned photo & signature in Application Form. Then deposit application fee through online mode. Then after checking all the details twice, Click on “Submit” button. You can take a print out of MPPEB ASI Online form for further use. Conclusion : MP Vyapam Recruitment 2017 For 508 ASI LDC & Steno Jobs. Participant can fill online form for MP Vyapam ASI LDC Recruitment on or before the last date, that is 15.09.2017. Dear Applicants, Madhya Pradesh PEB Department has released a notification for recruiting candidates on Sub engineer (उपयंत्री) Vacancy. There are 1021 Sub Engineer Vacancy of Civil, Electrical & Various Trade. Interested Candidates in MP Vyapam Recruitment 2017 can fill online form here on or before the last date. Closing date for submit online form for MP Vyapam Sub Engineer Jobs is 15.06.2017. Madhya Pradesh Professional Education Board is inviting online application for recruiting candidates on 1021 Sub Engineer Vacancy. Online registration for MP Vyapam Sub Engineer Vacancy has been started from 01.06.2017. This is a great opportunity for all the candidates who are waiting for MPPEB Recruitment 2017. For more information about Age Limit, Education etc. for MP Vyapam Vacancy, you can check given below details. Fresh Update (03.06.2017) : Madhya Pradesh vyapam has uploaded a exam result for PV& FT Exam 2017 Candidate should check his/her Vyapam result from given link. By using Roll No. & DOB Candidate should check MPPEB Result 2017 Click Here. Education Qualification For MPPEB उपयंत्री Vacancy : Candidates who are going to fill application form for MP Vyapam Vacancy should have done 10th/ Diploma/ Bachelor’s degree or equivalent qualification in respective trade from any recognized University. 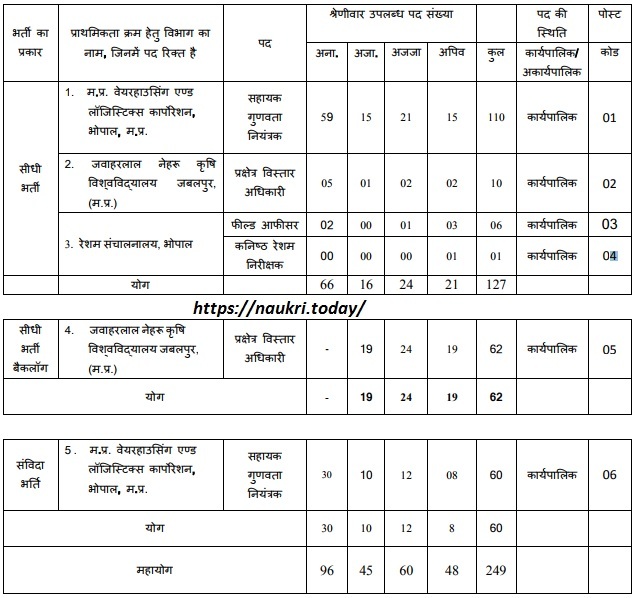 Post wise Qualification Details for PEB Madhya Pradesh Jobs you can check from vyapam.nic.in advertisement. MPPEB Jobs 2017 Age Limit : Age of the candidates for MP Vyapam Recruitment 2017 should be in between 18 years to 40 years as on 01.01.2017. Age relaxation is applicable up to 05 years for SC/ST Category & 03 years for OBC Category candidates for MP Vyapam Sub Engineer Jobs. More information about MPPEB vacancy you can check from official notification. For Post no. 01, 02, 04 to 06, 08 & 09, 13 , 14 : Candidates will paid pay band Rs. 9.300/- to 34,800/- with Grade pay Rs. 3,200/- for MP Vyapam Sub Engineer Jobs 2017. Remaining Post : Rs. 5,200/- to 20,200/- with Different Different Grade pay for MPPEB Vacancy 2017. Application Fee For MPPEB Recruitment 2017 : General Category candidates should need to pay Rs. 500/- for filling application fee for MP Vyapam Vacancy 2017. Other category candidates of SC/ST/OBC/PWD Nee to pay Rs. 250/- for applying online form for MP Vyapam upyantri vacancy 2017. New Applicants should also pay Rs. 70/- as Portal Fees & Registered candidates should Rs. 40/- as Portal Fees. MP Vyapam Jobs 2017 Selection Method : Selection of the candidates for MP Vyapam Recruitment 2017 will based on written examination. Final Selection will based on merit List. For more information about MP Vyapam Upyantri Vacancy you can check from here. Keep visit this page for more updates. Fist of all log on to the official website www.vyapam.nic.in. Now Click on Official MP Vyapam Vacancy Notification link. Read all information from notification without any mistake. Make all information in online form properly. Then Deposit application fee & Click on submit online form. MP Vyapam Recruitment 2017 For 1021 Sub engineer Vacancy. Candidates can fill online form for MPPEB Recruitment 2017 on or before the last date 15.06.2017. Are you looking for Jobs in Madhya Pradesh state, here is good news for you. MP Van Vibhag department has released a MP Vyapam Recruitment 2017 notification for 1400 Forest guard Jobs. Interested candidates in MPPEB Recruitment can fill online application form for Vyapam Van Rakshak Vacancy. Online submission of MP Forest Guard Vacancy Online form has been started from 23.05.2017. Closing date for filling application form for MP Vanrakshak Jobs is 06th June 2017 @ vyapam.nic.in Forest Guard Jobs. MPPEB is Known as Madhya Pradesh Professional Examination Board. Now, Vyapam department is inviting online form for recruiting candidates in 1400 Van Rakshak Post. This is great opportunity for all the candidates who are searching Vyapam New Vacancy 2017 @ vyapam.nic.in Forest Guard Jobs. Applicants are advise to check Eligibility Criteria before applying online form for MP Vyapam recruitment 2017. For more details about MPPEB Recruitment, all the information is mention below like Age Limit, pay Scale etc. Required Qualification For vyapam.nic.in Forest Guard Jobs : Candidates should have passed the 10th, 12th or its Equivalent from any recognized University/Board in India. For more information about MP Vyapam Vanrakshak Exam 2017 you can check from official notification. Age Criteria For Vyapam Forest Guard Vacancy 2017 : Maximum age of the candidates for MPPEB recruitment 2017 should be not more than 30 years & Minimum age limit should be 18 years as on 12.05.2017. Age relaxation is applicable up to 05 years for Reserved category candidates for vyapam.nic.in Vanrakshak Jobs 2017. Application Fee For MPPEB Van Rakshak Recruitment 2017 : Applicants who are belonging from General Category need to pay Rs. 500/- for filling online form for MP Vyapam Vacancy 2017. Reserved category applicants need to submit Rs. 250/- for filling MP Forest Guard Jobs online form. Salary Structure For MP Vyapam Vacancy 2017 @ vyapam.nic.in Vanrakshak Jobs 2017 : Selected candidates for MP Forest Guard Jobs will paid pay band Rs. 5200/- to 20,200/- with grade pay Rs. 1900/-. MP Vyapam Jail Prahari Recruitment 2017 : Dear candidate here is a latest news for you related to MP Jail Prahari jobs. Department has released a notification for 962 Jail Prahari & Various post. MPPEB Online application form are available in between 23rd May 2017 to 06th June 2017. If any candidate are interested in this Vyapam Jail Prahari vacancy & check all the brief details then click here. vyapam.nic.in Vanrakshak Jobs 2017 Selection Procedure : Selection of the candidates for Vyapam New Vacancy 2017 will based on Objective Type written exam & Physical Efficiency Test . More information about Selected Criteria & Other, you can check from Forest Guard Notification. Keep in touch with this page for more updates about MPPEB Recruitment 2017. Written Exam (15.07.2017 to 14.08.2017) details : Department will consist written examination for recruiting candidates on MP Vyapam Vanrakshak Jobs 2017. Written Exam will be objective type in nature of total 100 Marks. Question paper are available in Hindi & English both language. Time duration of exam are 02:00 Hours. Exam will held on 15.07.2017 to 14.08.2017 at various district in Madhya Pradesh. Candidates should get minimum passing marks in exam for qualifying the Written exam. 33% for reserved category & 23% for unreserved category candidate. After completion of written Examination, Shortlisted applicant call for PST. Candidate who are qualified in PST & Written exam then, they call for documents verification. Final Selection of the candidates will based on Merit list. For more details about examination, Admit Card etc. you can check from here. Keep in touch with this page for more updates about MPPEB Forest guard Recruitment 2017 – 18. 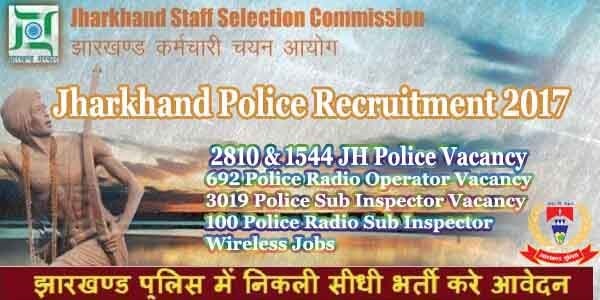 Vyapam Field Guard Recruitment 2017 Notification : Hello reader, if you are searching for Kshetra Rakshak Vacancy in MP state, then here is news for you. Vyapam dept. has already announced a recruitment for 93 MP Kshetra Rakshak Jobs. It is grate opportunity for all the 10+2 pass candidate. Applicants should check all the details related Madhya Pradesh Field Guard Vacancy then they are check here for full information. How to Apply For MP Forest Guard Vacancy MPPEB Online Form MP Vyapam Recruitment 2017 ? Now click on official MPPEB Jobs Notification link. Read all the information from Vyapam Advertisement properly. Then deposit application fee & click on submit button. Take print out of application form for future details. Conclusion vyapam.nic.in Vanrakshak Jobs 2017 : Madhya Pradesh PEB has recruit the talented candidate through MP Vyapam Recruitment 2017 for 1400 Vanrakshak Vacancy. Interested & Eligible applicants should apply MPPEB Online Application Form before the last date 06th June 2017.